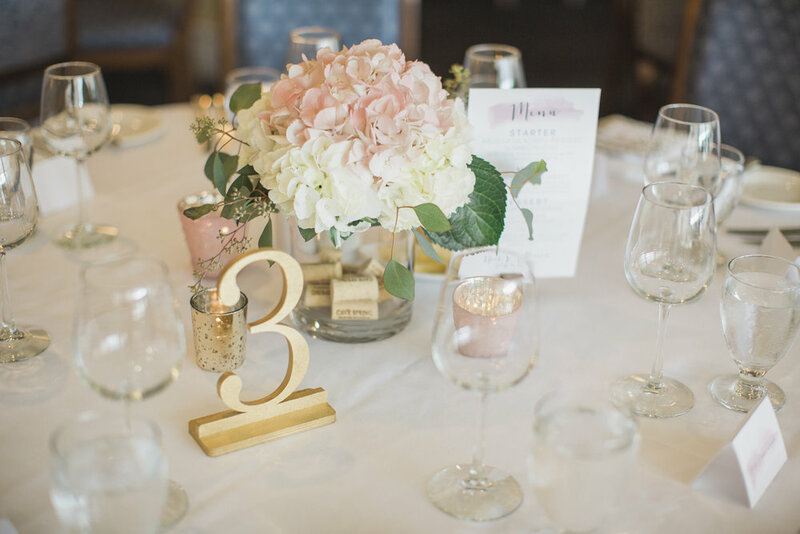 My sweet friends Alicia & Neil got married this summer and I was more than happy to share a few KJ and Co. wedding rentals for their big day at one of my favourite Niagara wedding venues. Their gorgeous outdoor ceremony at Cave Springs Vineyard was in the escarpment location, with a tree-filled background. 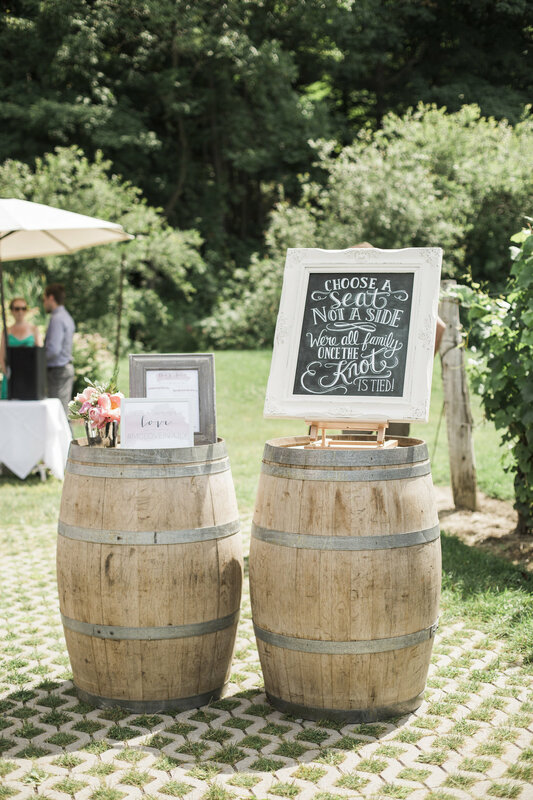 Guests were greeted by the vineyard's barrels, topped with a vintage KJ and Co. frame and "choose a seat, not a side" sign by Lily & Val, also a part of the collection.